PHD Dan Shunk de Arizona State University. 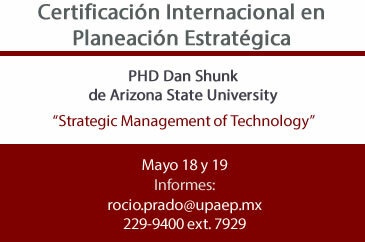 En este curso, el Dr. Shunk abordará temas como: Strategic Positioning, Customer Segment definition driven by desired customers, Innovation Process, System Life Cycle Planning, Structure of Organization, Leading High Performance teams, Defining Strategic Barriers to entry, STM of Knowledge Management and Collaboration, entre otros. 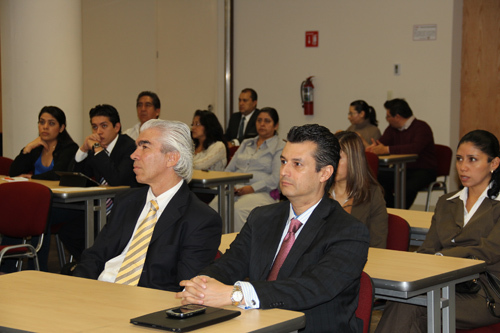 El Dr. Shunk a ganado premios como: Fulbright Award in 2002-2003, 1996 SME International Award for Education, 1991 and 1999 I&MSE Faculty of the Year award, 1989 SME Region VII Educator of the Year award, chaired AutoFact in 1985 y en 1982 SME Outstanding Young Engineer award.